It’s interesting to see what exactly takes place when syncing photos using Photo Stream, the iCloud backup or the latest iCloud Photo Library. Apple has become famous for having a pretty simple to use OS X and operating systems services such as iCloud Backup, your very own Photo Stream and the latest added iCloud Photo Library. In this post, we will tell you how to transfer photos from iPhone to iCloud. 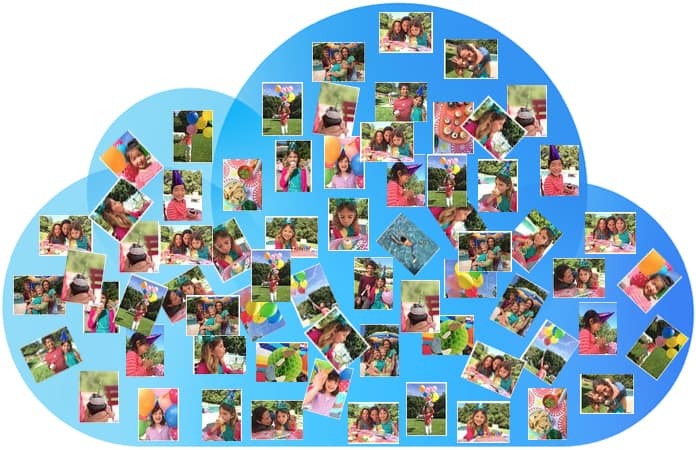 Despite the fact that they contain useful features the user may not want to save each and every photo to the cloud. One example of why not to do this is the celebrity hacks that took place where the vulnerability of iCloud to malicious attacks was exposed. However, one should still have some control and say in where these photos go and what path they take before ending up in the Cloud. Here, we will show you the procedure behind transfer photos from iPhone to iCloud. Backing up your device using iCloud is more detailed than Photo Stream and it allows you to backup accounts, documents and so effectively the entire iPhone settings. 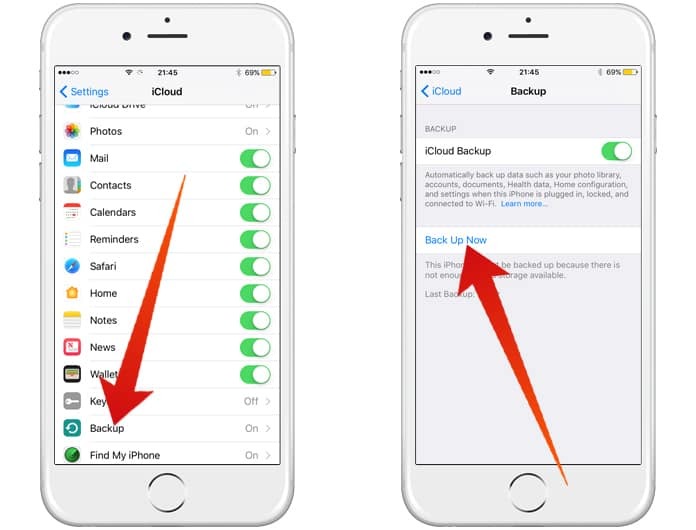 To access Storage and Backup all you need to do is go to Settings -> iCloud. There you should see the option for iCloud Backup, which will automatically back up all files and settings when the device is charging and connected to the WiFi. To turn this feature off simply toggle it off. The strange thing is that iCloud Backup is less accessible than the iCloud Photo Library or Photo Stream since there isn’t any online resource to access the data that has been backed up. It can only be accessed when restoring an iPhone and logging into the iCloud account. The most important thing to be careful of is that Apple aims for all users to merge Photo Stream and Camera Roll into the iCloud Photo Library so that everything is in one place. However, this is ultimately the choice of the user. In addition, it’s important to know that the Camera Roll and Photo Stream are very different from each other. The Camera Roll is the iPhone’s local storage and the Photo Stream contains photos synced across all iOS devices through iCloud. Deleting a photo from the Camera Roll will still keep it in the Photo Stream and this applies in the reverse order as well. However, you should also know that the Photo Stream isn’t like a normal backup. 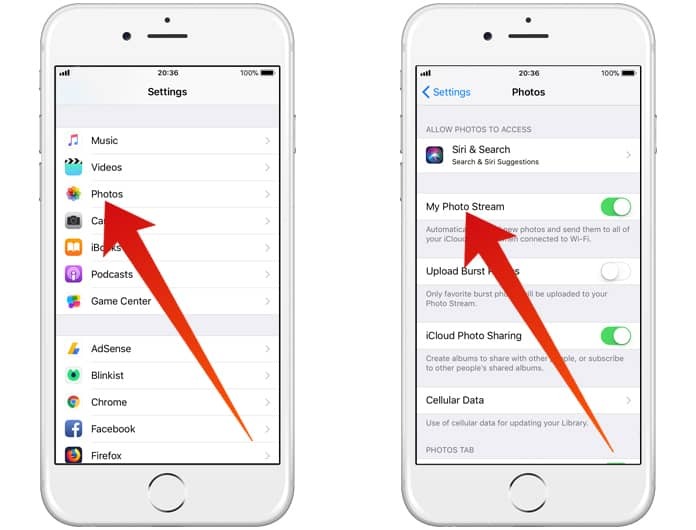 In case there are multiple iOS devices, it will be possible to access photos from each and every device as long as Photo Stream is enabled for both of them. Another thing that a few people may not know is that it is possible to access photos through desktop as well. 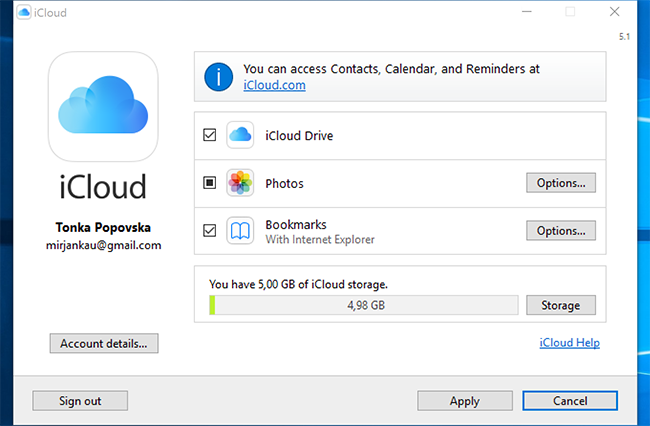 In case you happen to use Windows you will have to download the iCloud Control Panel. Mac users can do so simply in a straightforward manner with the upcoming OS X Yosemite update. It will include a new photo app and a replacement for the soon to be discontinued iPhoto and Aperture. Photos aren’t stored in the normal way in the Photo Stream. Instead, they are available only between devices and on your desktop. Photo Stream doesn’t save all photos but only 1000 at a time and deletes older ones as memory restrictions arise. 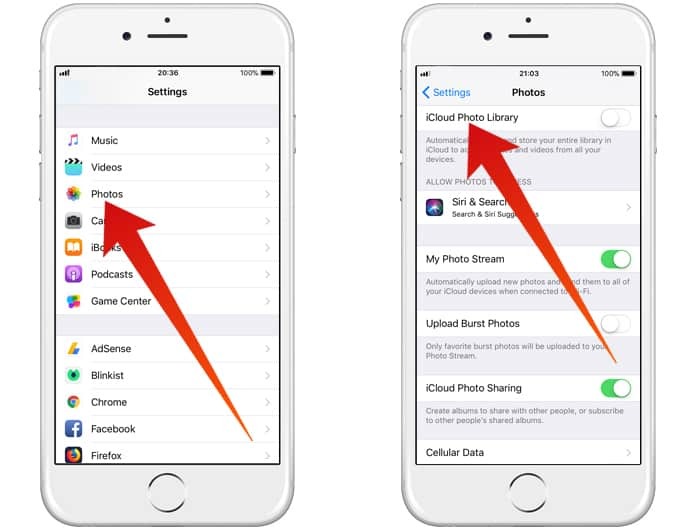 Next, when it comes to understanding transfer photos from iPhone to iCloud, there is the iCloud Photo Library, which is still in the beta phase. It allows you to automatically sync all photos from the Photo Stream or Camera Roll directly to the cloud. The iCloud Photo Library does this across all Apple devices but unlike Photo Stream it automatically stores the high resolution photos in iCloud and then resizes them for every single device, which means they are all accessible from iCloud.com. To top it all off, any edits or changes to one photo will be updated across all devices, which is a great ease of use feature. The iCloud Photo Library can be activated by going to Settings -> Photos and check if the slider is green. This may seem to be a great solution since the Camera Roll cannot automatically sync photos and Photo Stream will only have 1000 photos at any given day or for 30 days. However, one issue is that iCloud backup only contains 5GB of free storage, to use more than that it will be necessary to pay up. Sorting and categorizing photos also becomes a chore because they are all automatically backed up by mass. Furthermore, as we look at the different ways to transfer photos from iPhone to iCloud, it is important to mention that there are other options out there. iCloud may not be the best option to backup since the 5GB limit means that there is a serious restriction on space, at least for most users. If you use iCloud there are ways to protect the photos on your Apple device. What this does is that the Apple ID sends an SMS code to your mobile device to manage the account.Setting it up can really boost the protection of your photos. It may lack the convenience or ease of use of the Cloud but this good old feature is still solid in its functionality. Setting up an automatic backup after plugging the phone into your PC can definitely help a lot and is very useful. It should be a matter of habit for those who update their phones on a regular basis. In addition, it is possible to set up a Wi-Fi Sync between the iPhone and PC connected to the same network. Dropbox is a great example of a service that syncs all photos from the Camera Roll. It just requires that photo permissions for the app allow all photos to be synced and it gives a great storage space for all photos to be stored and then accessed online. For security, it is possible to use the encryption of files option. Please remember to like, share and comment.